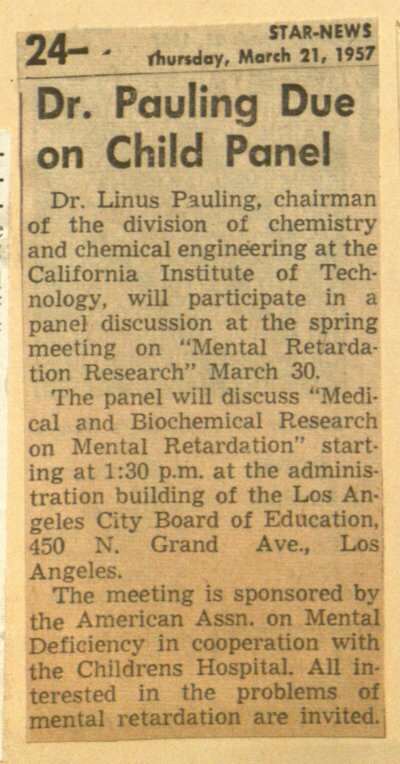 "Dr. Pauling Due on Child Panel." March 21, 1957. Page 1 Larger Images / More Information. 1 p.